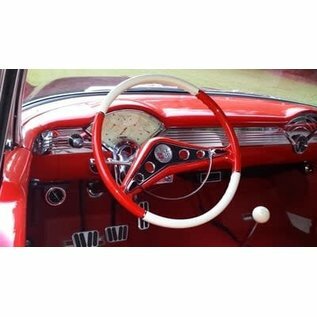 58-60 Impala Steering Wheel - Black - 15"
Home / 58-60 Impala Steering Wheel - Black - 15"
This smaller 15-inch Steering Wheel replaces the original 1958 through 1960 18" stock steering wheels on Chevy and other brand vehicles of this same year. 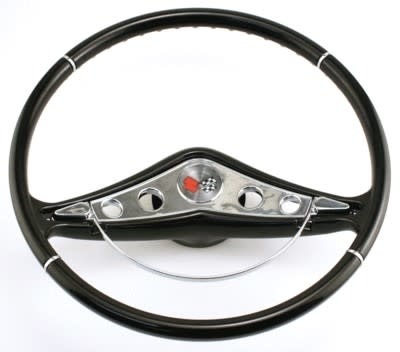 This smaller 15-inch Steering Wheel replaces the original 1958 through 1960 18" stock steering wheels on Chevy and other brand vehicles of this same year. 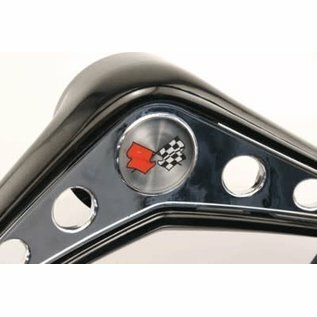 This sporty replacement gives your car an original look, yet provides drivers the comfort and handling of a 3-inch smaller diameter modern size wheel. 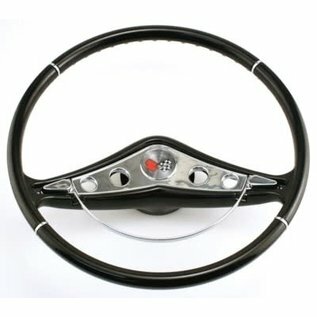 Don't wrestle with that "bus-size" steering wheel any longer! 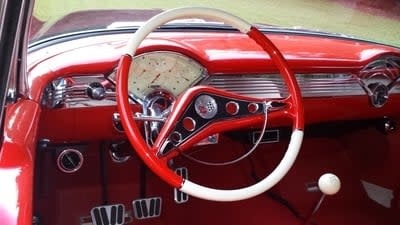 Made to fit to the original steering column or after market GM styled columns using all the original horn, nuts, and directional parts. 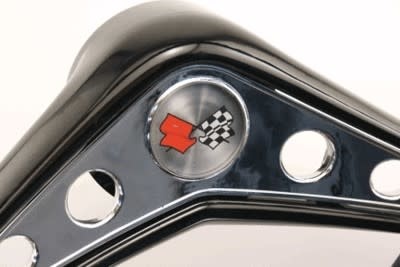 The wheel comes complete with a chrome horn ring, horn adapter kit, and a center cap (as picture.) Installation is easy- just bolt it on! Finished in black. For other colors, simply paint to match your vehicle. Note: These wheels are made to be painted to match your interior. The red wheel has been painted to match the vehicle. The wheel does not come painted.